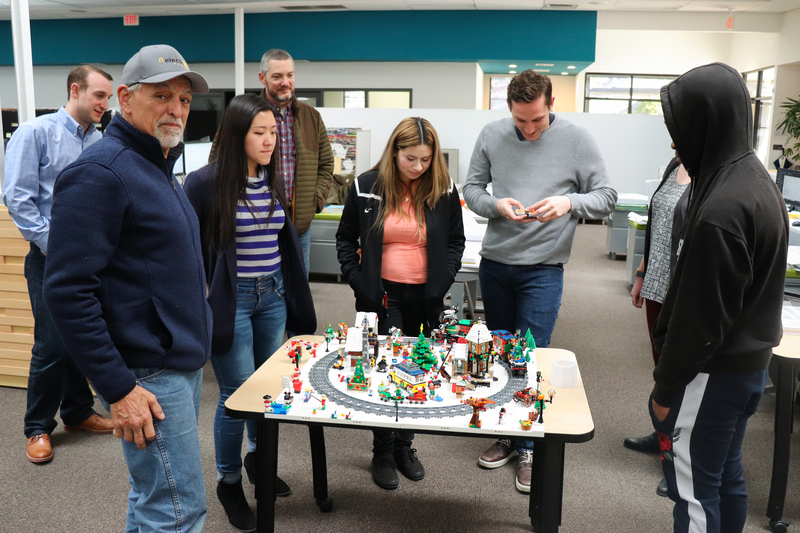 The Sacramento Regional Builders’ Exchange (SRBX) CREATE Academy’s mission is to mentor high school students interested in a future career in architectural, engineering, construction management and the trades. 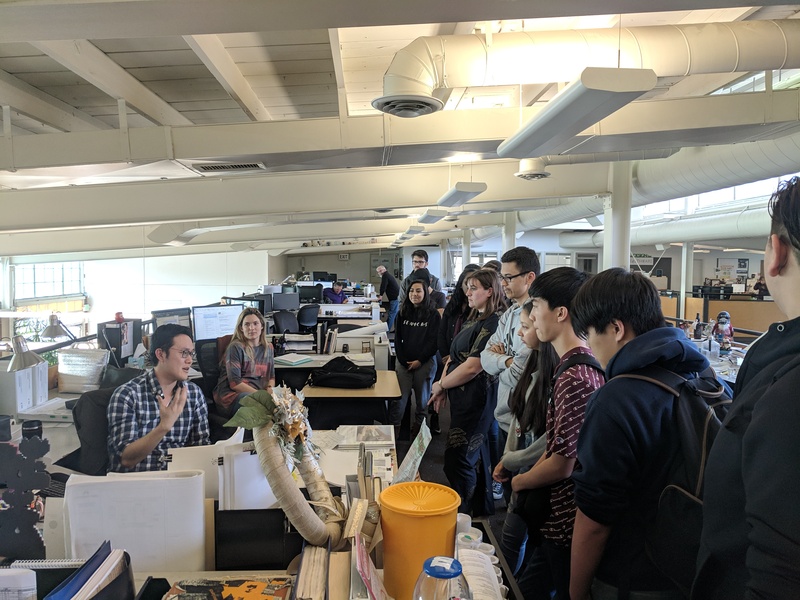 The Education studio’s Claire Seger and Casey Wong are mentors for high school students in the CREATE Academy. 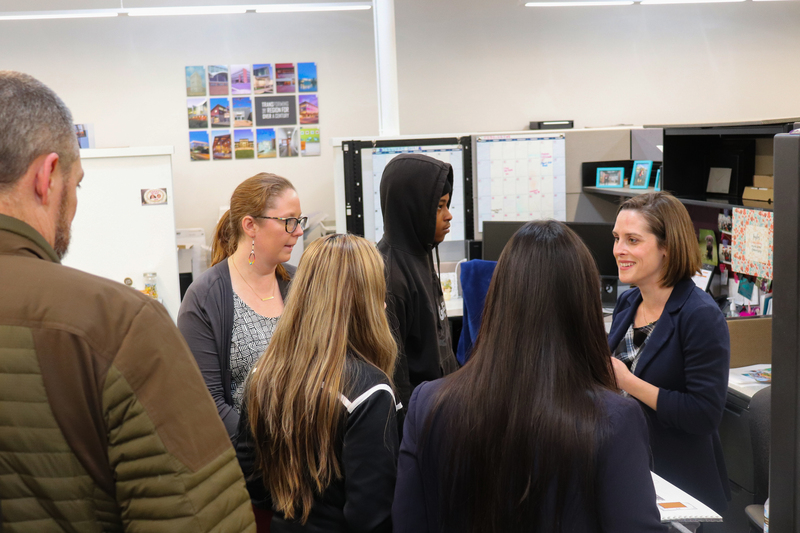 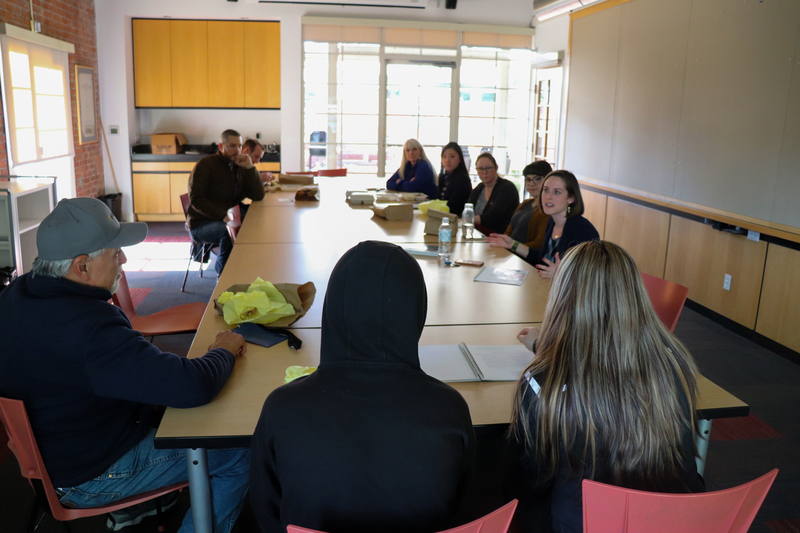 Claire mentors students at the Sacramento Academic and Vocational Academy, an independent charter school in Sacramento, and Casey mentors students at River City High School. 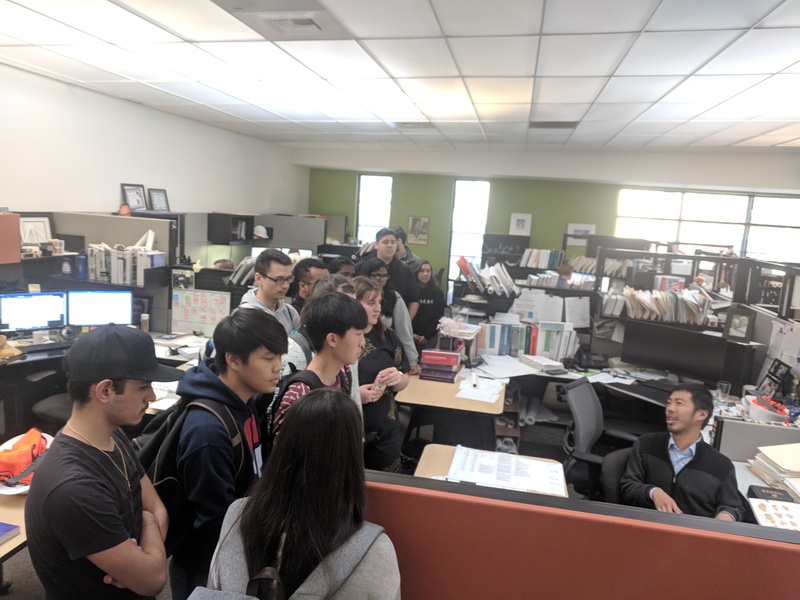 As mentors, they both go over to the schools once every two weeks and help the students perform mock Request for Proposal (RFP) projects—this year the project is a tiny house! 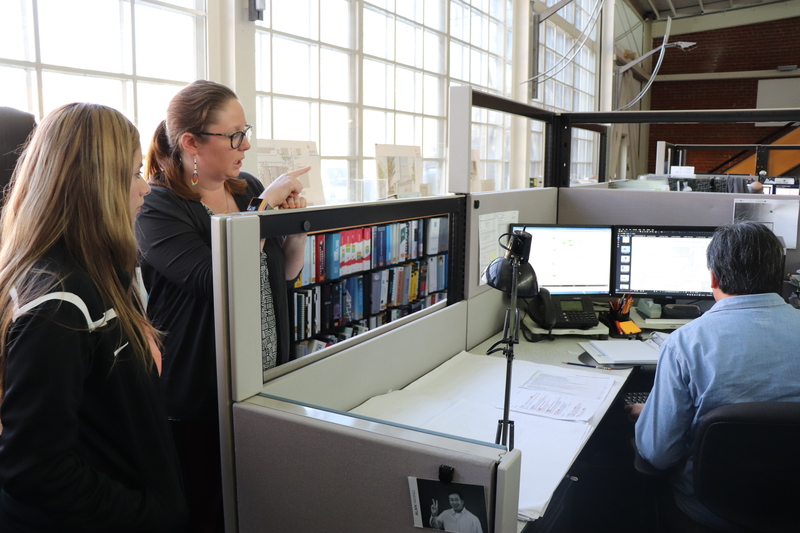 Many of Casey and Clarie’s students know that they would like to be involved in some sort of career in the industry, but are still learning the extent of what each of these careers involve. 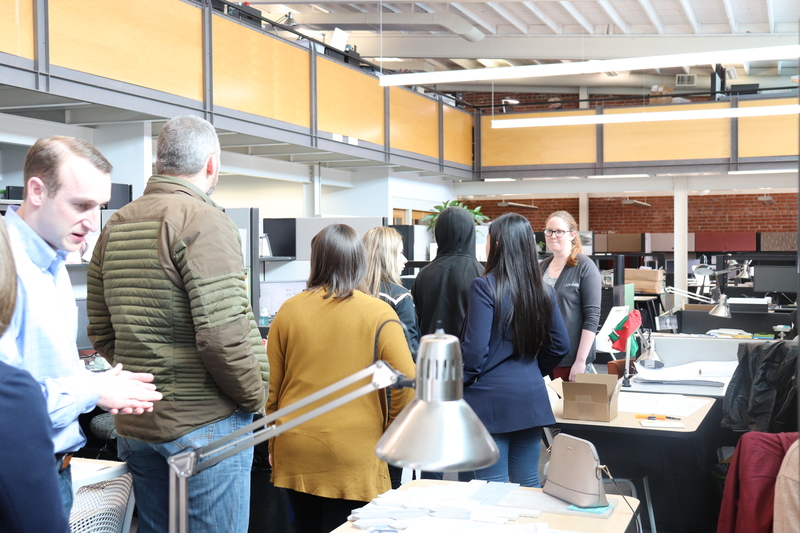 In order to provide more clarity for their students, Casey and Claire both recently gave them a tour of Lionakis to see what a day in the life at the firm is all about. 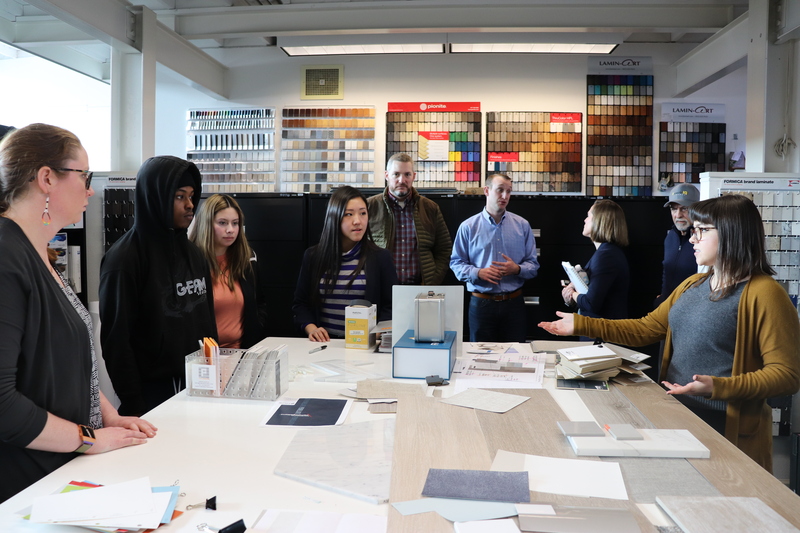 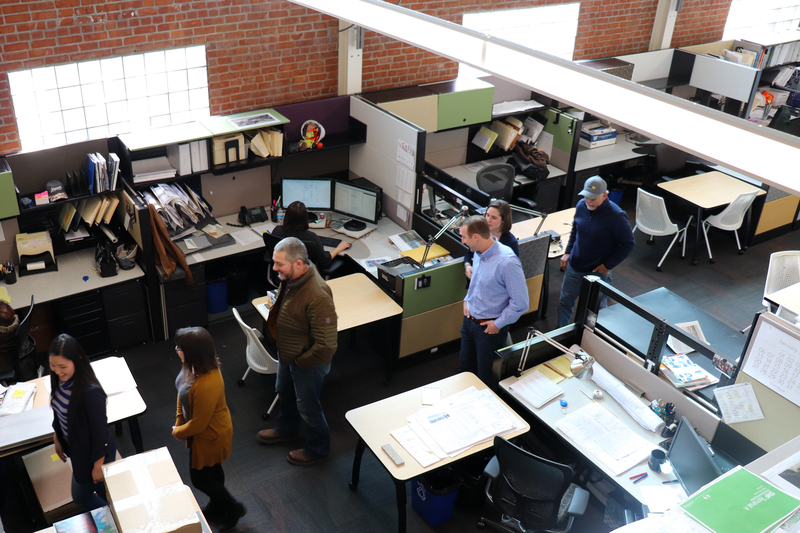 The students got to learn everything from what it takes to put together proposals in our marketing department, to how to pick out finishes in our interiors department. 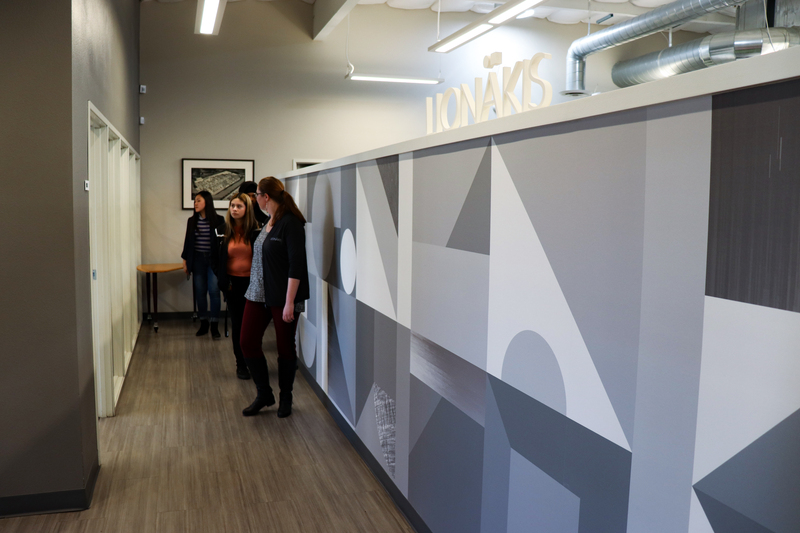 The students realized the amount of work and collaboration required in the field as they listened to other Lionakis employees speak about what each of their jobs entails on a day-to-day basis. 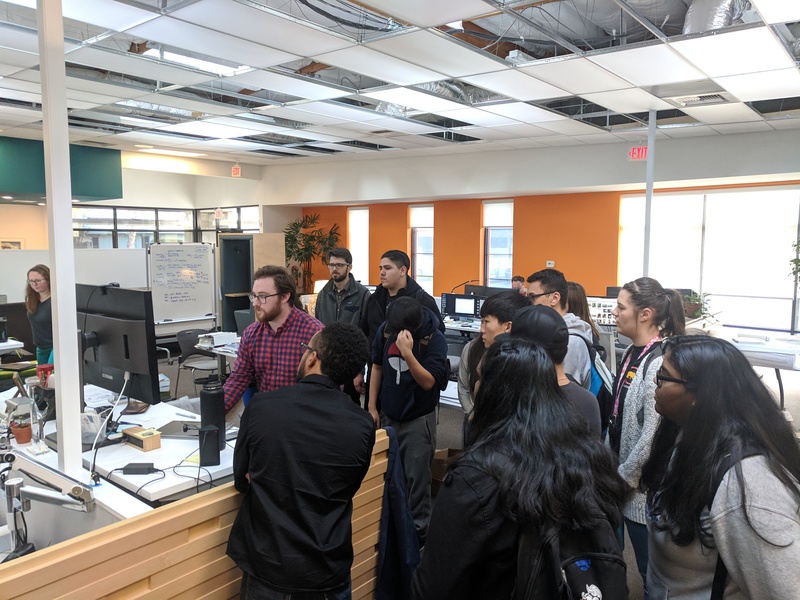 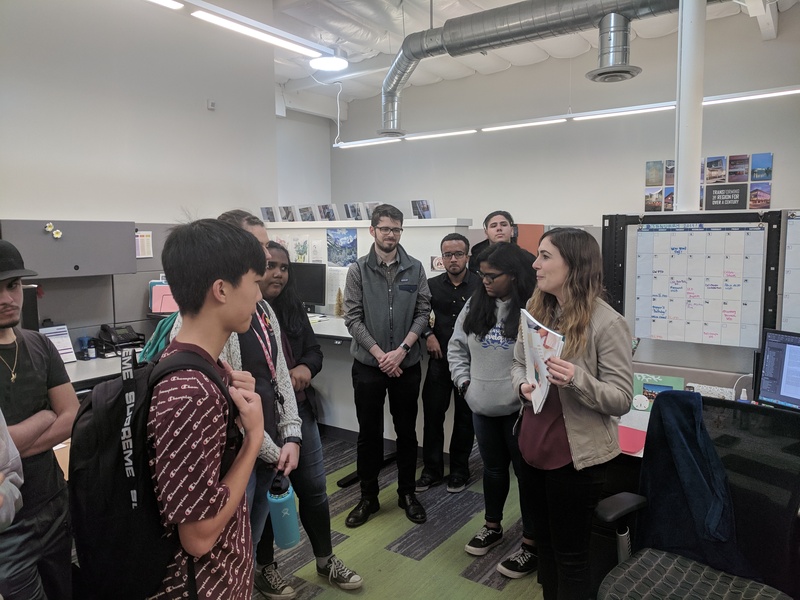 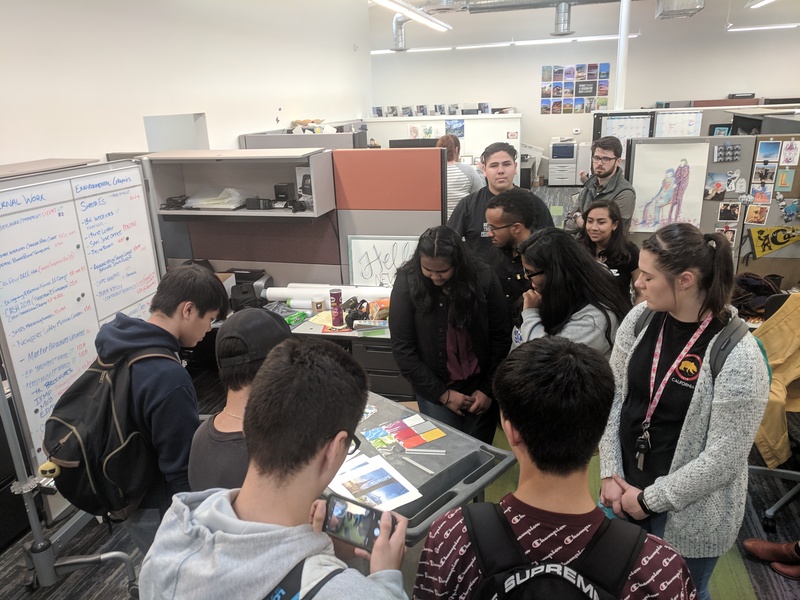 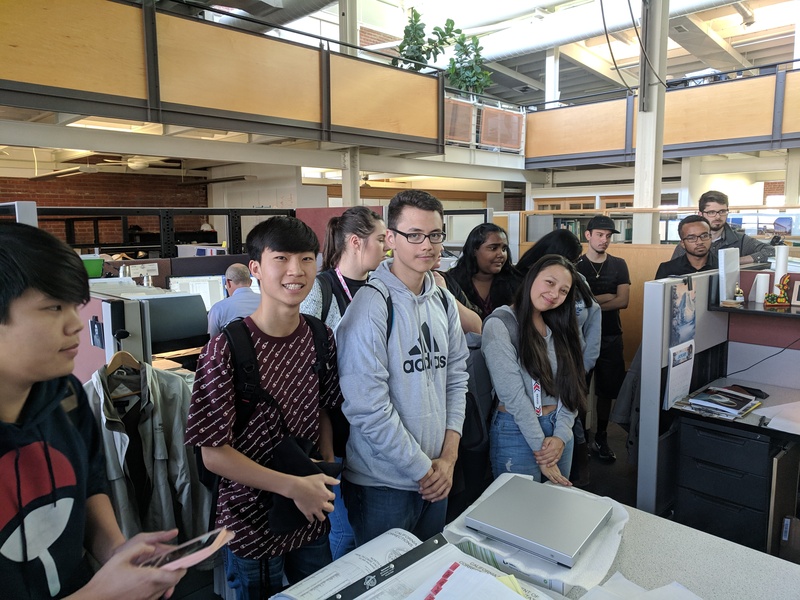 The office tour also enabled each of the students who were having trouble conceptualizing a designed space through a floor plan to be able to see the interior finishes, models and realities behind the design process. 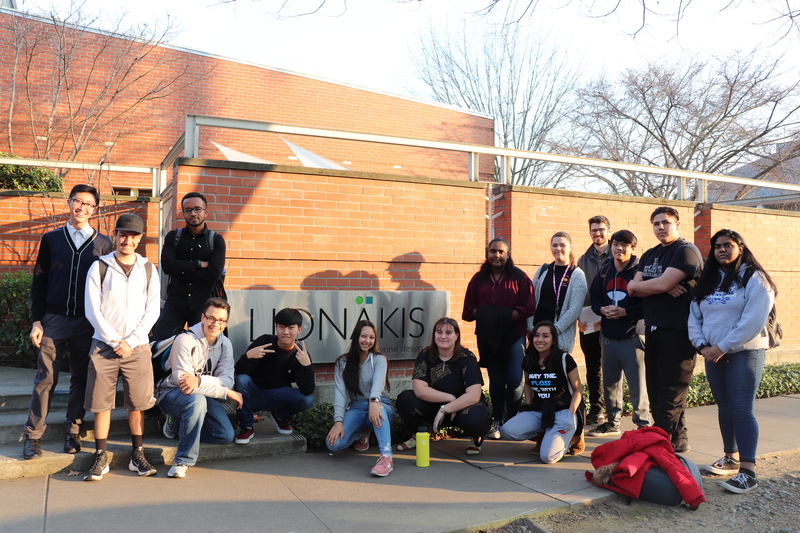 Overall, it was a fun day of learning what it takes to design a better future at Lionakis, and hopefully one day they will be designing a better future, too!